Pack your tent and hiking boots, because the next free-entrance days are right around the corner at all U.S. National Parks. August 25-28, everyone of all ages will be waved through the gates at no charge at any of America’s 412 national parks (124 of which usually charge for admission). As we reported this spring, the National Parks System (NPS) celebratess its 100th birthday with a handful of free-admission days at all national parks throughout 2016. Zero dollars gets you in with a vehicle and covers commercial tours. Reservations, camping, tours, and concessions fees from third parties still require payment. After August, the “16 Days In ’16” campaign rounds out with free days on Sept. 24, National Public Lands Day, and Veterans Day on Nov. 11. Check out the full list of national parks you can visit for 16 Days In 16. 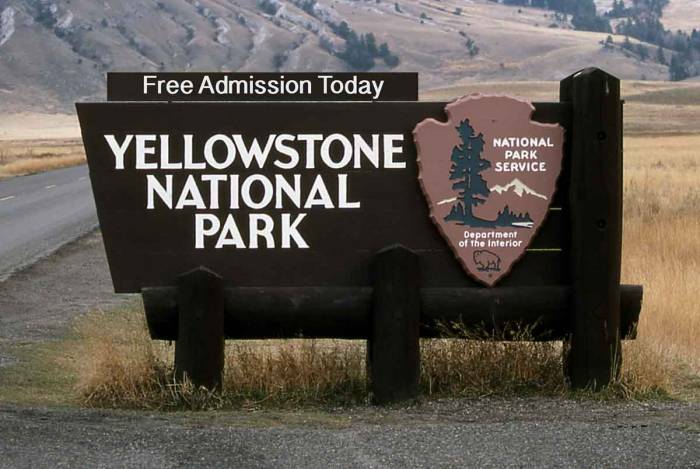 Yellowstone and Glacier National Park, which charge up to $30 for entry, are among the best deals.